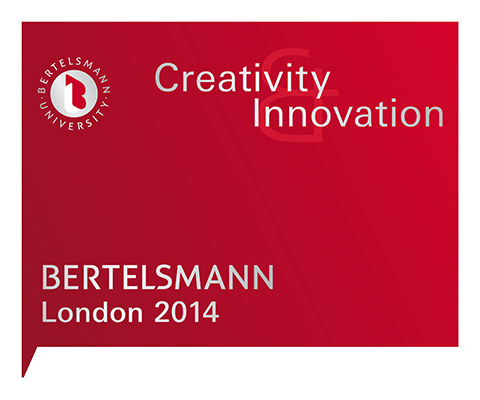 Just after the "State of the Forum" by Bertelsmann University at Silicon Valley in 2013 this year London was the place to be for over 300 internationalen executives & creative leaders by RTL, Penguin Random House, arvato, G+J and Be Printers. On stage: Ed Catmull (Pixar/Disney), Simon Cowell, Jamie Oliver, Thomas Heatherwick, E.L. James, Jean Michel Jarre, Matt Britin (google) Lily Cole, wil.i.am, Beth Ditto, Arianna Huffington und Itay Talgram to name a few. Since the year 2000 Corporate Candy leads this event format for Bertelsmann.